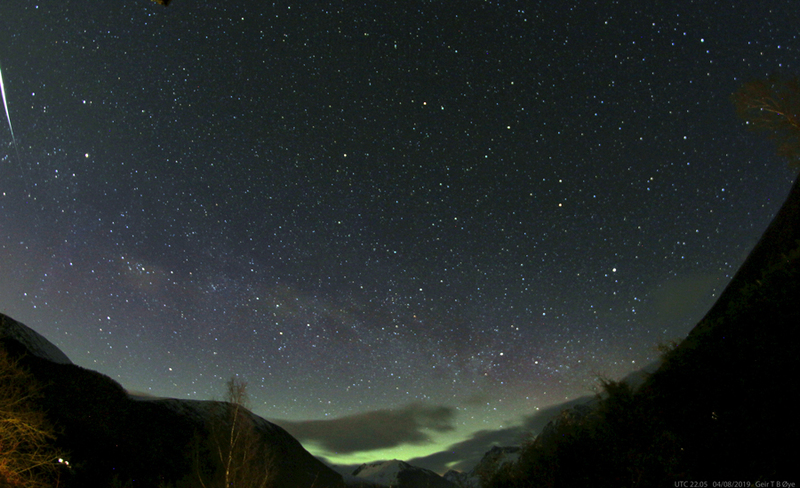 Aurora, Fireball and the Milky Way. Image snapped at UTC 22.05. Photo details: Canon 650D, Samyang 8 mm, ISO: 800, Exposure: 58.2 seconds. This entry was posted in Astronomy on April 9, 2019 by admgeiroye.